Thirst Quenchers Bibles have arrived!! 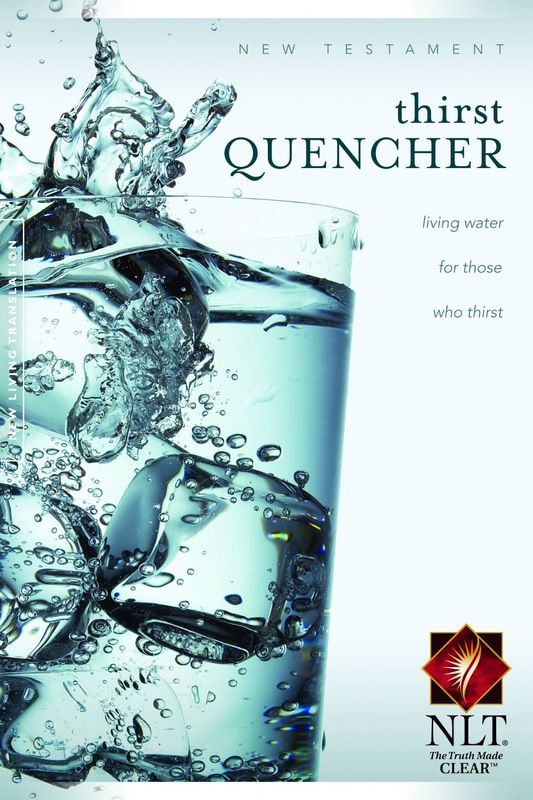 Today we receive our second shipment of nearly 10,000 copies of the Thirst Quenchers New Testaments. Filled with helps, cornerstones and steps to peace with God, these Bibles are specially tailored for those who do not yet have a relationship with Jesus. 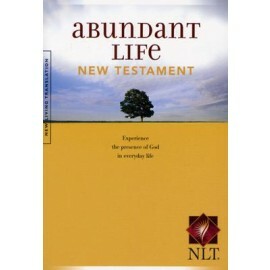 God's word never returns void which means that each and every one of these Bibles will have a home. Upon arrival, we realized that the lift gate on the truck was not going to fit into our doors to forklift them off. We ended up having to lift them off one by one. My first thought was that this truck driver was going to be extremely upset with me...but he wasn't. It was just me and him for the majority of the unloading and we had a good laugh about it. The delivery guy was a Hindu man and I took the opportunity to give him the very first Bible. He was more than happy to receive it and was extremely thankful. Seed planted and God gets the glory. With all the things that went wrong with this Bible delivery, God had a plan. We had a great conversation during that hour and half of unloading. 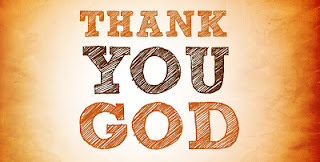 Words are not enough to express how thankful we are to our ever faithful God and to our support team that have been such a massive part in getting this ministry (Give the Word) going. I am so happy to be able to inform you that as of right now, we are fully operational with next to ZERO operating and overhead costs. 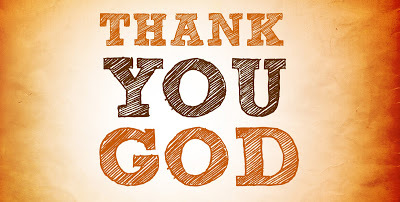 All the praise goes to God and our thanks goes to all of you who have stepped up to make this possible with your generous donations, including office space, warehouse space, shipping, office furniture, printed material , website and much more. What a way to start!! I am overwhelmed at times with the support we are given. Having next to zero overhead costs is allowing us to focus entirely on Bible distribution without having to worry about any major expenses or payments. This was out goal and our vision and God has opened the doors to make this possible. Thank you all. We look forward to keeping up with the stories and testimonies of where the Bibles are going, how they are being used and life changing testimonies that take place. 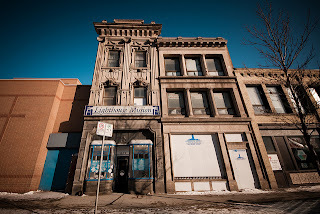 The Lighthouse Mission in Winnipeg is a ministry that has been close to my heart for a long time. My friend, Sean Goulet has been the director their for the past number of years and is so passionate about seeing Winnipeg's homeless, addicted, underprivileged and less fortunate come to a relationship with Christ. 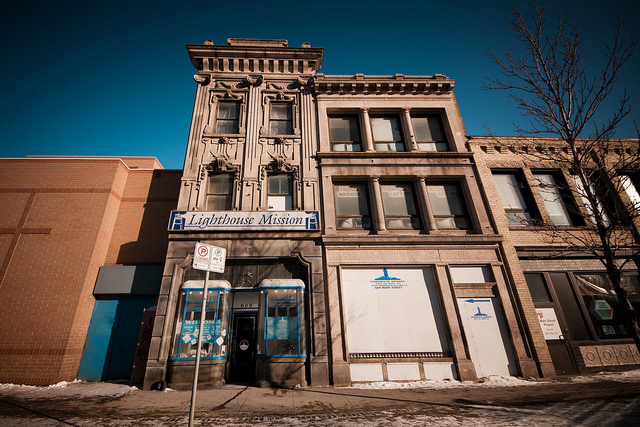 Lighthouse Mission also feeds and clothes the inner city of Winnipeg. They have church services every Friday night along with Bible studies and recovery programs throughout the week. This is a ministry that Give the Word is a strong partner of and we are committed to supplying Bibles to Lighhouse mission on a regular basis. 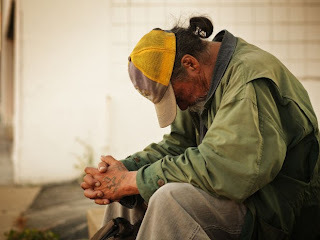 They have given quite a few testimonies of what making Bibles available has done for their ministry, but their is one story that stands out to me. Recently, I was dropping off a case of Bibles to the front door of their mission. A man was standing in the front and asked what was in the box I was carrying. I replied "Bibles, would you like one?" He said no, I already have my own Bible and it saved my life. He mentioned that he got Bible from lighthouse mission just like the ones that were in the Box I was carrying. He asked if I was the guy that brings the Bibles all the time. He was so thankful for his Bible and for his new relationship with Jesus. It is so amazing to see the fruits of your labour. I will never hear every story for every Bible, but it's those few that I do get that keep me going. Your support is very needed. As we connect with new ministries every single week, we are constantly made aware of the need for Bibles in our city, province and country. Please consider making a one time or monthly donation and help us to Give the Word, change a life. You support will go along way. Every $5 that is donated, gives a Bible. Every $200 gives a whole case of Bibles away. Please visit our website at WWW.GIVETHEWORD.CA for more details. 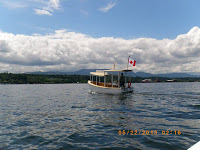 On June 26, I left for a board meeting in Victoria BC and had the opportunity to meet with a handful of churches and ministries in the area as well. I found out that the churches on Vancouver island are crazy about local outreach and have so much passion for seeing their communities come to Christ. 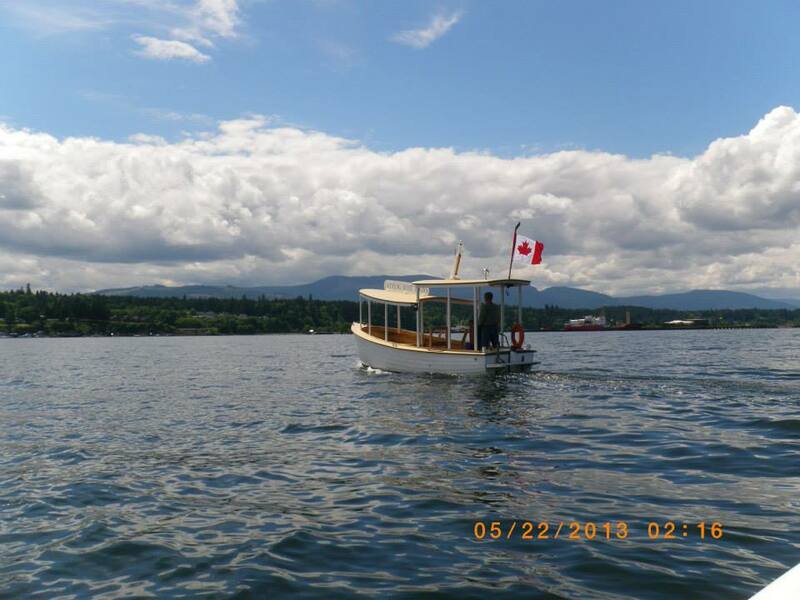 In between two of my meetings, I had the opportunity to go on a little boat tour of Cowichan Bay on the island. I notices this little 12 seater tour boat with the captain sitting on deck fixing one of his lights. I asked him if he'd want to take me for a ride. He was more than happy to do so and offered to take me out on the water for about an hour. I ran back to my car to grab a few things...and then the nudge came. Ryan, give this man a Bible please . I thought, great, this is going to be real awkward if he doesn't want this Bible and then I am going to be stuck on the boat by myself with him for an hour. I planned it out so that I would just give it to him right at the end. Things were going great. He was sharing the history of the bay and showing me the sights...and then he had to go and ask me what I do for a living. Great!!! and the nudge came again. Ryan, give him the Bible right now. I put the Bible in my hands and reached out to him and said "I brought a Bible on board with me that I want to give to you". He took it as said, ummmm, I need to tell you that I am actually an agnostic. I chuckled and said, Perfect, and he laughed as well. The cool part was that he starting sharing about his catholic background and we ended up having a real good discussion about faith. I am so thankful that I had a Bible with me that day and I am even more thankful that I listened to the nudge to share my faith with a stranger. I will never know the impact of our conversation and what he ended up doing with his Bible, but that is between him and God now. I did what God asked of me and it felt great.